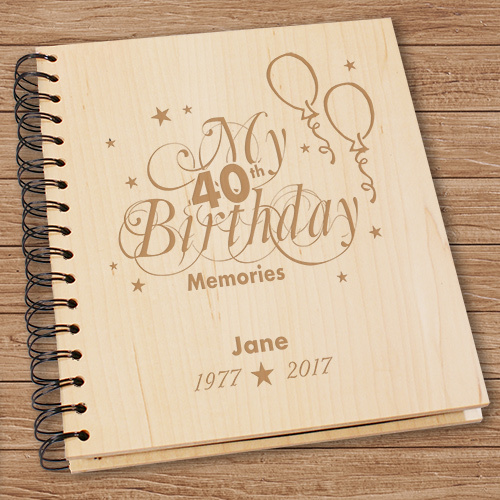 This attractive, Engraved 40th Birthday Photo Album provides plenty of room to store all of the photos taken at your great 40th birthday party. Your birthday keepsake gift is a one-of-a-kind gift that will be cherished & remembered for a lifetime. Very nice personalized photo album. This is a wonderful Keepsake Gift - he loved it. 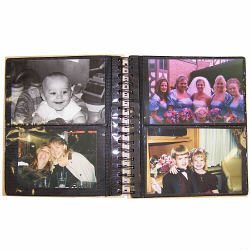 Holds 72 photos and is engraved so beautifully - such a "personal gift." True quality. Will order more. We specialize in personalized birthday gifts including Personalized Birthday albums for 30th, 40th, 50th & 60th Birthdays. Get your Personalized Birthday Gift today.